Don’t scuttle your freedom and financial future this Memorial Day weekend in Phoenix by operating a watercraft over the legal threshold of alcohol or drugs. Memorial Day is meant to be a somber marker. The idea initiated during the Civil War as a simple, voluntary ceremony to lay flowers upon the graves of the fallen during in the aftermath of the Civil War. In 1868 the concept became official as Decoration Day. Four devastating wars and more than a century later, in 1971, Congress changed the name and established Memorial Day as a national holiday to honor those who sacrificed their lives defending the nation. Now the holiday also symbolizes the beginning of summer with parades, smoking barbecues, gathering with friends and relatives to enjoy a long, warm weekend and a respite from work. For some, it’s an opportunity to enjoy boating on Arizona’s waterways. Enjoy the holiday, boaters, but my legal advice is to drink responsibly because too much alcohol is a primary cause of waterborne accidents, injuries, and deaths. So authorities, again, will be diligent over the holiday weekend by enforcing the DUI laws. Our state’s boating laws are enforced by Arizona Game and Fish officers, county sheriff’s deputies, Arizona State Park Department officers, and in some cases, such as Lake Havasu, federal officers, and the U.S. Coast Guard. They all are poised to make DUI arrests to keep the boating public safe at the greater Phoenix area water destinations: Apache Lake, Bartlett Lake, Canyon Lake, Lake Pleasant, Saguaro Lake, Tempe Town Lake, and the City Urban Lakes. Arizona has more than 125,000 powered watercraft registered so the waterway will be crowded. However, boat registrations have declined, down from 158,000 in 1998, according to the Arizona Game and Fish Department, which also registers watercraft. If a law enforcement officer wants to speak to a boater, the boat’s operator must maneuver to permit the officer to glide alongside the vessel and stop. But there’s more. During the busy boating season, authorities set up check points designed as a deterrent and as a net to apprehend boat operators who are breaking Arizona’s Operating Under the Influence (OUI) law. Operators of power and sailboats with a small engine, personal water crafts including jet skis are subject to these checks. You can only receive an OUI if operating a motorized watercraft. Operators who are stopped at a check point or on the water are administered either a breath, blood, or urine test to determine if the operator is above the .08 blood alcohol concentration, which is the same amount for driving a wheeled vehicle. Having open containers aboard is legal but the craft's operator cannot have one and cannot be drinking. Failure to comply with the test subjects them to a civil fine of $1,250 and if convicted a $500 criminal penalty. Law enforcement will be looking for boaters who break the rules on the water, which gives them sufficient reason to stop the boat and may allow the officer to conduct one of the sobriety field tests. Per A.R.S. §5-397, the penalties for a first conviction of OUI - Potential jail which can be suspended upon completion of mandatory attendance at alcohol screening (approximately $100); any recommended classes (roughly $200-400); and a minimum fine and surcharge of approximately $2100.00. The maximum can be six (6) months’ jail. Per A.R.S. §5-397 “Extreme OWI” – .15% and above BAC; carries a first offense mandatory minimum thirty (30) days jail (Judge may suspend all but ten (10) days if alcohol treatment and education are completed) and a $2500.00 fine. Per A.R.S. §5-397 “Super Extreme OWI” – .20% and above BAC; carries a first offense mandatory minimum forty-five (45) days jail and a $2500.00 fine. A conviction for a second Non-Extreme OUI within eighty-four months from the first conviction include the following consequences. If convicted you can serve at least ninety (90) days in jail of which sixty (60) days can be suspended only upon completion of the mandatory alcohol screening classes outlined above. There is also a minimum fine and surcharge of approximately $2500.00. The maximum can be six (6) months’ jail. Per A.R.S. §5-397, “Extreme OWI” – .15% and above BAC (with a prior OUI conviction within eighty-four months of this offense); mandatory minimum one hundred twenty (120) days jail (Judge may suspend all but sixty (60) days if alcohol treatment and education is completed); fine of approximately $3000.00, and thirty (30) hours of community service. Per A.R.S. §5-397, “Super Extreme OWI” – .20% and above BAC (with a prior OUI conviction within eighty-four months of this offense); mandatory minimum one hundred eighty (180) days jail; fine of approximately $3000.00, and thirty (30) hours of community service. In addition to possible time in jail, terms of probation, community service, and alcohol and drug education, a conviction is also harmful in personal ways, such as losing a job, difficulty getting a job, temporary or long-term loss of the driving privilege, living with a device that prevents starting a vehicle unless you provide a clean (void of alcohol) breath sample, loss of the right to own or possess a firearm, as well as embarrassment and loss of respect. If you or a loved one has been arrested for OUI, drop everything and get legal representation from a competent DUI defense lawyer. 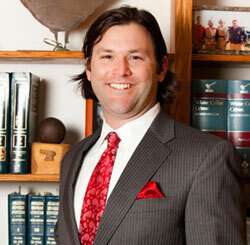 Time is crucial to have a prepared attorney at the arraignment. It’s also imperative not to answer questions posed by the arresting officer, which is your right to not incriminate yourself. Anything said becomes state’s evidence. Every case has different circumstances and as an experienced DUI attorney experienced, I’m committed to providing an aggressive and thorough defense. To build a defense ,I will scrutinize the state’s evidence for flaws, perform my own investigation, and endeavor to prove the result of the sobriety test was not reliable. In cases that the state has strong evidence I work hard in plea agreement negotiations with prosecutors to reduce the charge and penalty. Call 480-729-1683 today to arrange for my free, no obligation consultation or contact Phoenix DUI Defense Attorney Aaron Black.